Life is confusing even for us who are considered ‘normal’ and can think and function on our own. So no wonder it is a big puzzle for those who do not have the intelligence other people their age have. And it gets harder for them when they are not treated with affection and the care that they require and instead are looked upon as a burden to the family and society. 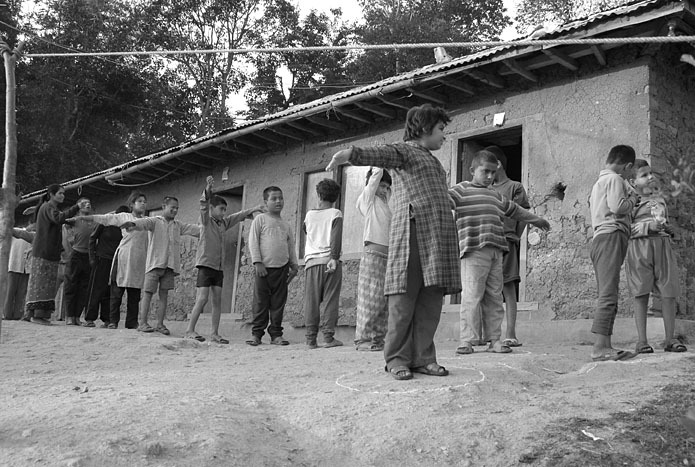 It was year 2007 I did one photo assignment for Mentally Retarded Rehabilitation Center located at Kharelkhot in Kavre, a village 57 kilometers from Kathmandu. 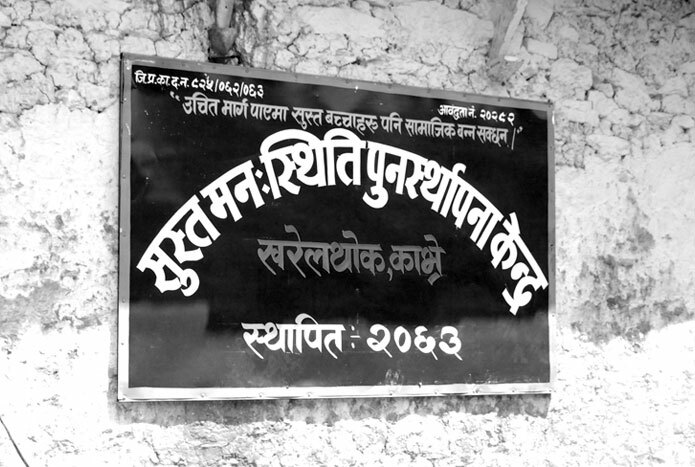 Sujana Uphadhayay was with me and we did this social project to collect fund for this rehabilitation center which was established in year 2006. 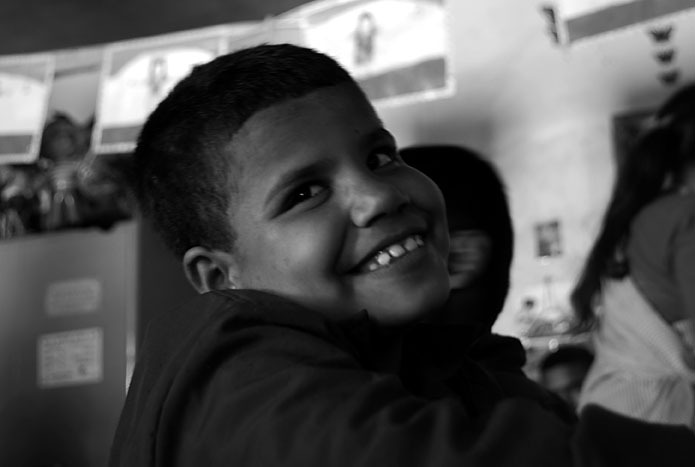 The center was established with the aim to reach out to and help as many children with a low IQ as possible. 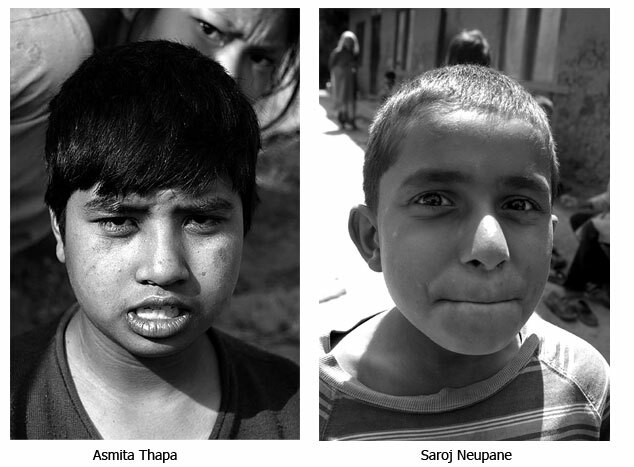 I have spent two days in that rehabilitation center photographing whatever routine children follow every day. It was a great learning experience for both Sunana and I to know how happy those children are with their limited world they have in the center. 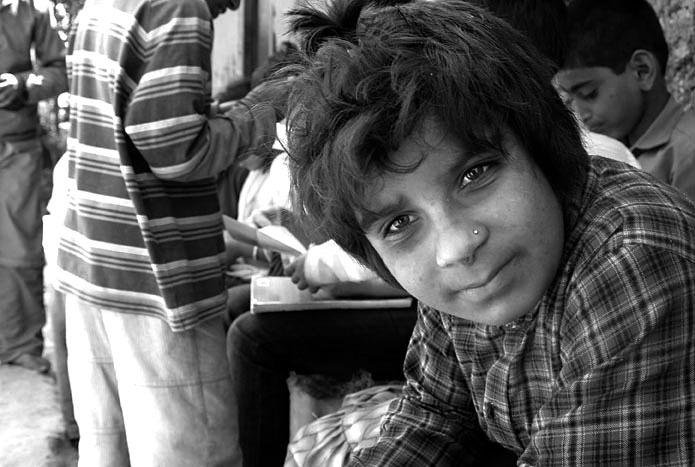 And for me it was the journey I learn to ‘care’ for needy children like them. My short stay in the center was truly a spiritual experience of what it takes to live life being a people of lesser God. Here I would like to share some of pictures from that assignment. 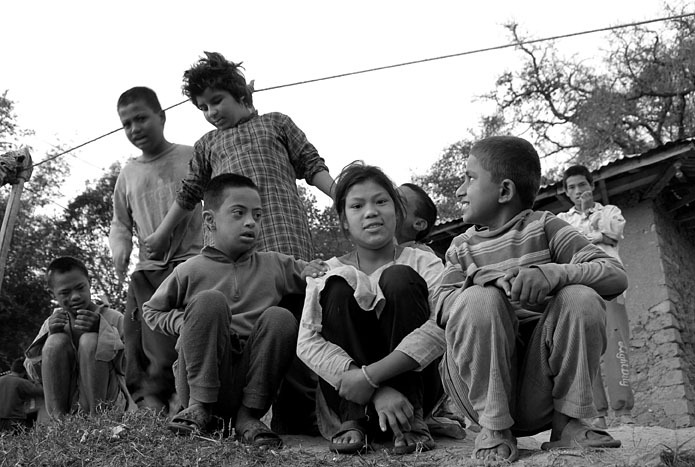 WE ARE FAMILY:Children sitting outside the Rehabilitation center. 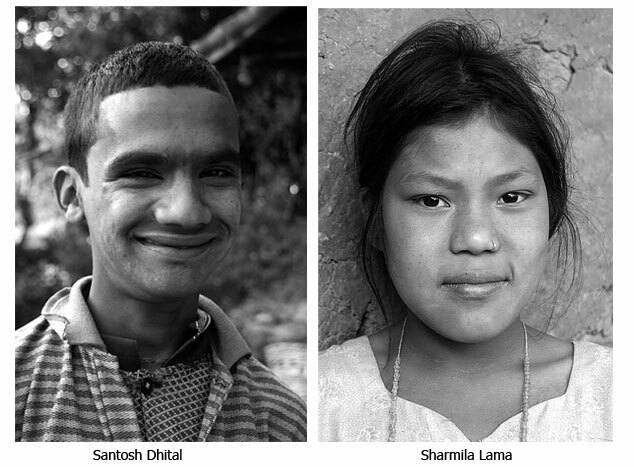 Being a physical or mental disability in traditional societies like Nepal becomes a dependent on the family and the community makes their life a miserable experience. But progress that human civilization today’s have achieved both scientifically and technically in greater field, we must realize that any disabled can also become a productive member of the society and can look back on their life with satisfaction. All it takes is our little ‘CARE’ and help them find a place in the mainstream of our social life like us. 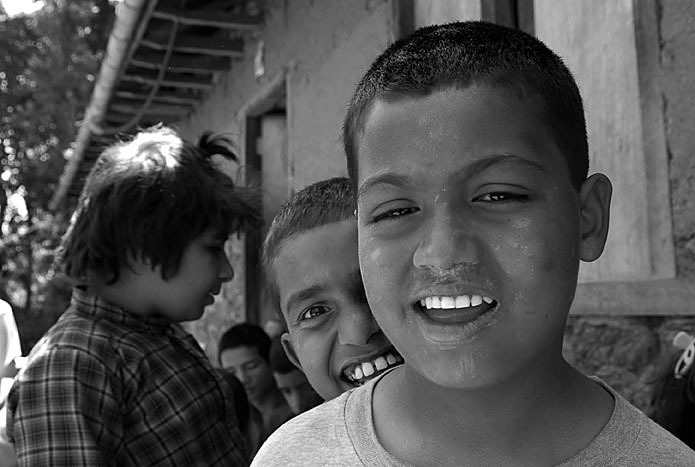 FRAME ME TOO: Saroj peeking from Rabin’s back. THINKER: Rosina trying to figure out what I was doing with camera. It cannot be over stated that these children need love and affection from other people. But then, who doesn’t? It is therefore important to realize that these children have no less thoughts and feelings than any of us. And they are not incapable of learning. They just have a different, and a slow, way of learning. WAIT FOR DAWN : Early morning children waiting the Sun to rise. 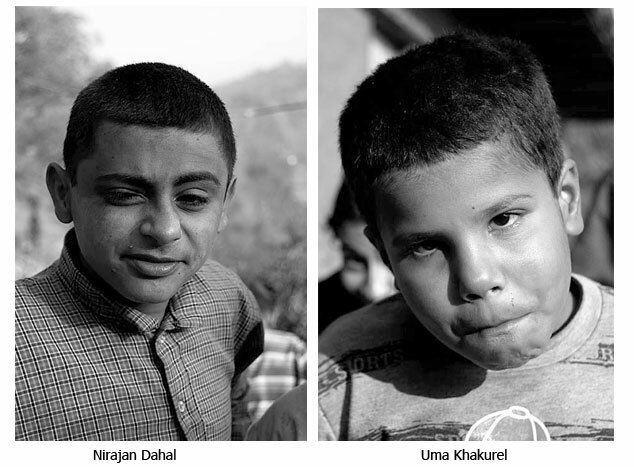 The progress the Rehabilitation Center had with some these children is proof to this. 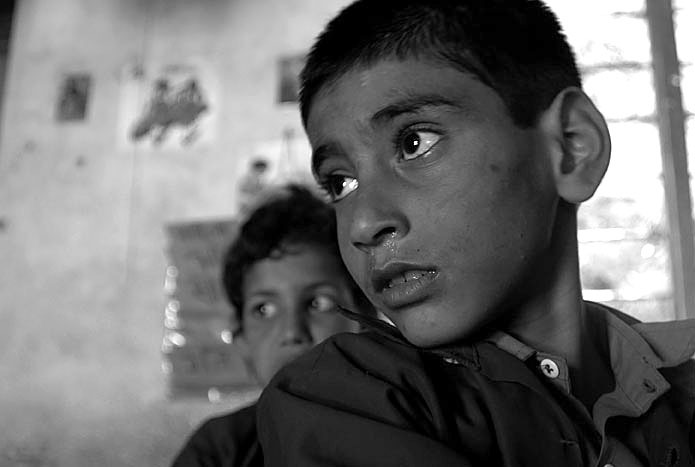 Most of the children before coming to the Rehabilitation Center were made to live in unthinkable conditions. Some were even tied along with the cattle, where they ate hay, just as the animals did. Part of this was due to the ignorance on the side of the parents, while some of it was due to the poor economic condition where they could not afford anything better. Those children before coming to the center had no sense of being human beings at all. And seeing them now, befriending each other and learning new skills everyday, the faith the center have in their ability to learn and grow strengthens everyday. CIRCLE FOR ME: Muna Ama making circles for children so that can stand for morning prayer and parade. 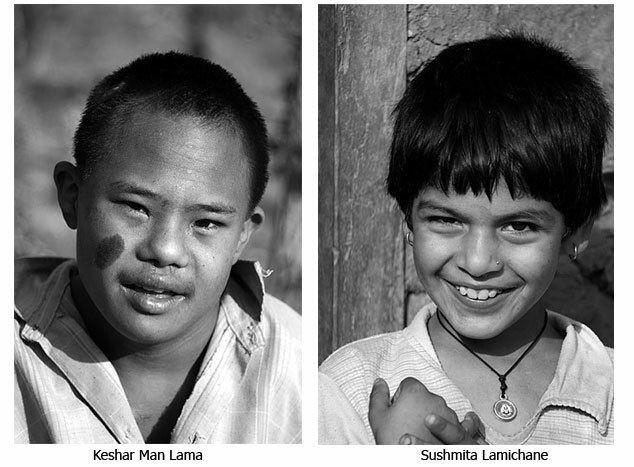 The mentally retarded from childhood experiences unusual difficulties in learning which affects their capacities for adjustment in day to day living. HERE WE STAND TOGETHER : Children doing parade. MORNING WORKOUT : Children doing morning parade along with Muna Ama. 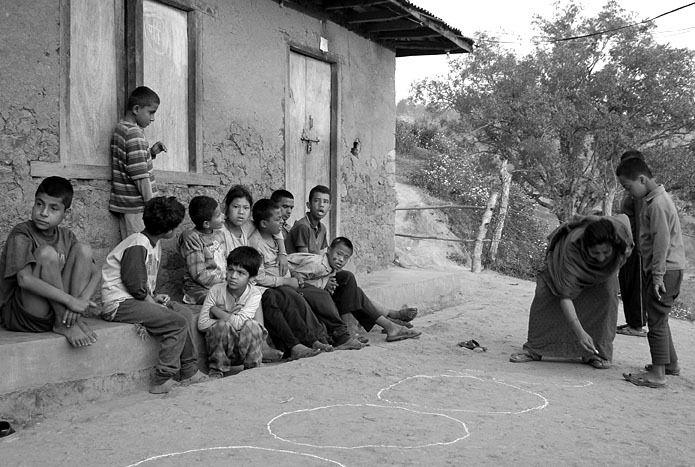 In year 2001, government introduced the concept of inclusive education in Shree Bahgwati Higher Secondary School. 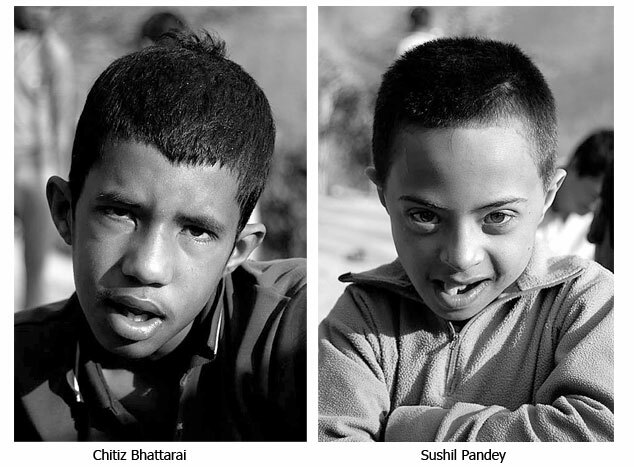 The purpose of the special class in the school was to enroll 10 mentally challenged children at a time and teach them basic life skills with the aim to prepare them eventually lead a normal life. But it was stated that each batch of 10 students would be taught for 5 years, after which they would be sent back home. The five years of specially formulated education program did help the children make some improvements from their initial stage. However, given their limited learning ability and their need for constant guidance and support, removing them from the class and sending them back home would mean pushing them back to square one. The first batch of students completed their allocated time by the government during late 2005. 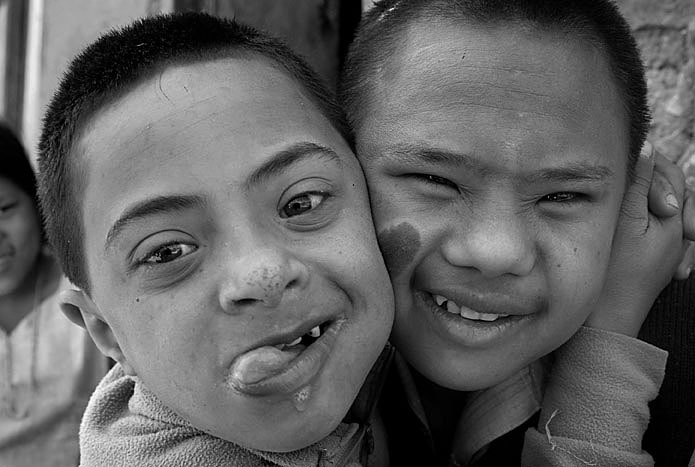 Hence, in order to help them continue learning and to reach out to more than just 10 children at a time, Mentally Retarded Rehabilitation Center was established. It was a tough decision to make given the lack of funds and support from government, but it was an important one. The center was registered as a non-government organization committed to help improve the life standards of mentally challenged children by the only teacher in the program then, Ms. Muna Silwal and some parents of the children. 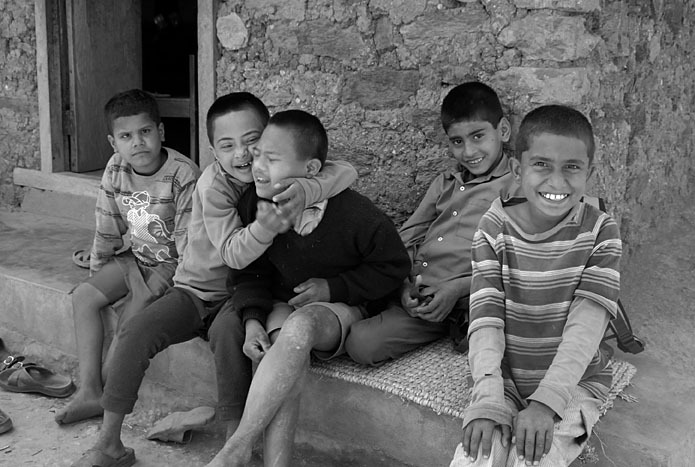 The center is being run by the NRs 10,000.00 ($138.00) that the Nepal government provides each month and the limited financial support that the parents provide. 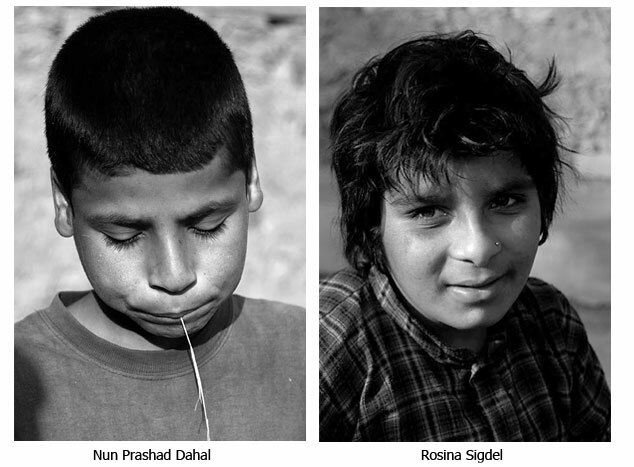 Most of the children come from families in villages where their parents are involved in farming as a profession. Hence, give the low economic standards; it is very difficult for most of the parents to even fill in the basic fee of the center. 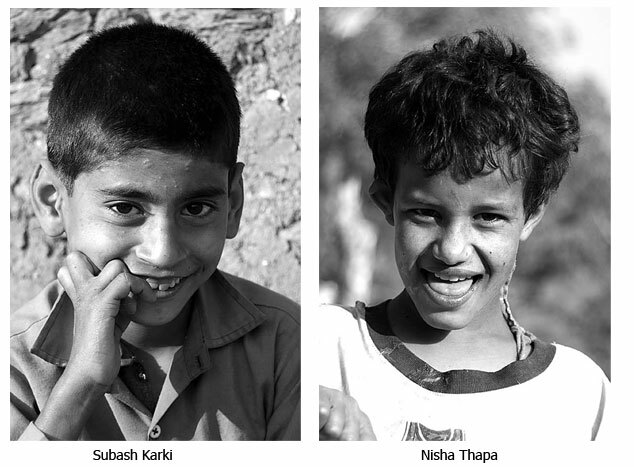 The center’s future plan is to run a full-fledged center with all the facilities that the children need and bring in and support as many of them as possible. Also, we aim to be able to eradicate the concept people have of “mentally retarted” children and make them understand that they are just a little different, but in other ways are very much like us. The society should be made aware of the need to recognize the mentally retarded persons and give enough care to make them as independent as possible. There is a long way to go, and the journey, along with it challenges, has just started. There were a total of 16 children now from all parts of the country. * There were two full time teachers and two full time support staffs with the children at all times. 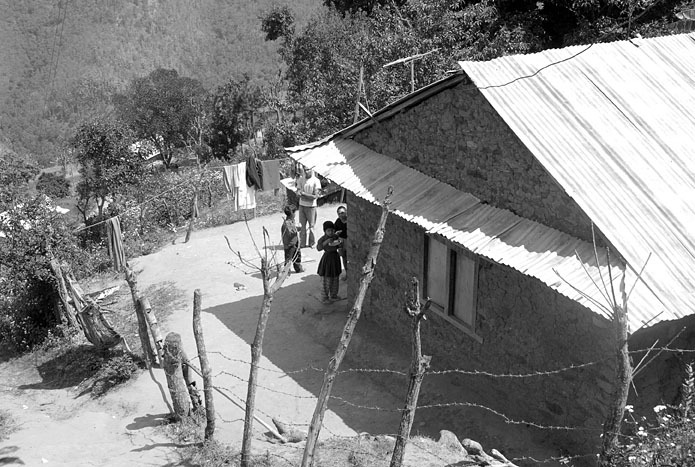 * A room was allocated in Shree Bahgwati Higher Secondary School where the children attend their classes. * They stay in a hostel, 10 minutes from the school and are well acquainted with the ways – to and fro. * The children were divided into three groups, depending on their learning abilities and study programs have been designed and followed. * The children were taught skills to help them earn their own living in the future. Some of them are able to make envelops on their own. MORNING PRAYER: With Rosina in the morning I did prayer (Saraswati Bandana) and parade with them.